We've taken a look at some of the best folk festivals taking place this summer. As we delve deeper into festival season we continue our series of round ups, this time focusing our attention on some of the finest folk festivals landing this summer. Head here to check out all the folk festivals hitting the UK this season. With a line up boasting some of the biggest names in the genre, Folk By The Oak's all-dayer at the gorgeous Hatfield House in Hertfordshire will star the likes of Bellowhead, The Unthanks, Nancy Kerr, Keston Cobblers Club and much more. The festival also features a host of family friendly activities tool, ranging from workshops, storytelling and circus performances to a craft fair, and for the adults, a real ale bar. Get your Folk By The Oak tickets here. 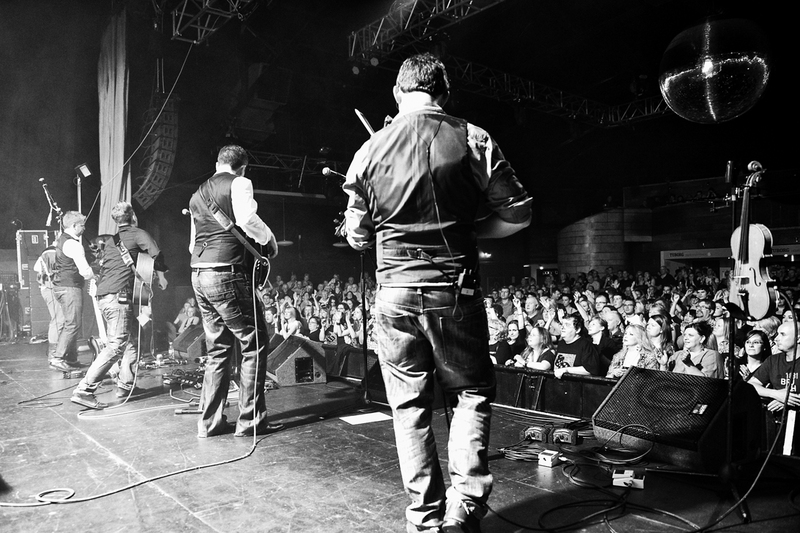 Located on the Scottish island of Bute, just 33 miles from Glasgow, Butefest is another family friendly winner, with a solid music line up featuring Peatbog Fairies, Skerryvore (pictured), The John Langan Band, and Treacherous Orchestra amongst more. The food and ale is great too, showcasing local produce and alcohol from microbreweries that you'd be hard pressed to track down anywhere else. Bag your Butefest tickets here. Brand new for 2015, Barnsley based folk singer and songwriter Kate Rusby and her family production team will take over Cannon Hall Farm for three days of super-chilled out shenanigans. Built on a series of successful one day events (watch last year's above) this year sees Mary Chapin Carpenter, Eddi Reader, Philip Selway and Molotov Jukebox amongst a lot more. Nab your Underneath The Stars tickets here. Curated by everyone's favourite folk pop heroes Mumford & Sons, the line up strays from purely folk to include rock, indie, and even a spot of dance music thanks to Simian Mobile Disco. However, with the likes of Ben Howard, Lianne La Havas and King Charles, also appearing, folk heads can look forward to a hefty dose of the good stuff in Aviemore later this year. Head here for Aviemore Stopover tickets. With a line up involving The Monkees, Spiritualizd, Idlewild, Gaz Coombes and The Polyphonic Spree (watch 'You Don't Know Me' above), Moseley Folk Festival certainly know their stuff, with the three day festival boasting internationally acclaimed artists throughout the weekend. The setting is stunning too, held in the 11 acre woodland glade in the heart of Moseley Village just outside Birmingham, with the natural beauty amplifying the strength of the music sublimely. Moseley Folk Festival tickets can be purchased here.